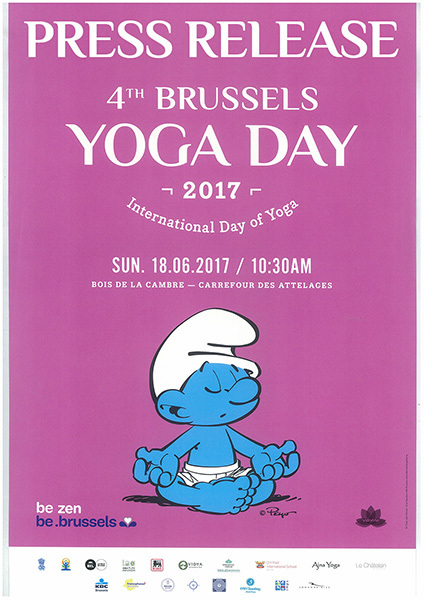 and with the support of the Brussels Capital Region, the Cocof and the City of Brussels. and expresses its commitment toward the welfare of the inhabitants and prevention. Collector Yoga 2018 and its advertisers, L’Antre-Deux, Magazine Elle, Psychologie Magazines, Marie Claire, KBS Iyengar, Mory Moving, Orphanage Saint Joseph of Cluny at Pondicherry (India), Art of Living, Tulsi Tea, Golf 7 Fontaines Men’s Day, Hockey Together, Anja Yoga, Heartfullness, the whole team of volunteer yoga teachers, volunteers, exhibitors and all the ambassadors of wellbeing.